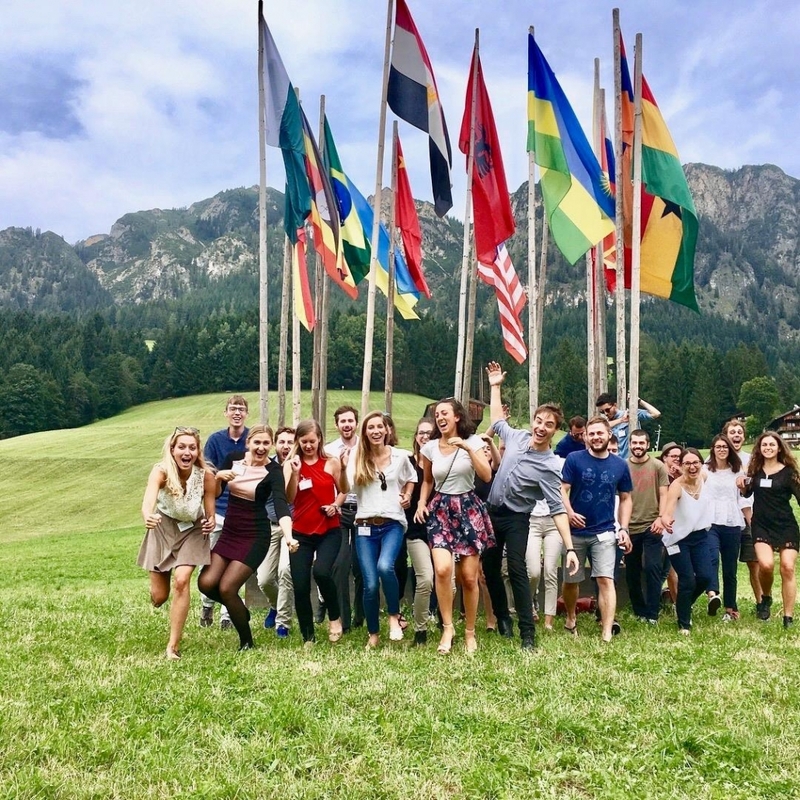 It is our core mission to grant scholarships for the annual European Forum Alpbach (EFA) to motivated students and young professionals from the Alpe-Adria region (Carinthia, Northern Italy, Slovenia). This scholarship covers the participation fee and accommodation for your entire stay. But that is not all: We will be there to support you during your time in Alpbach! Our team of returners will organise events, such as fireside talks, teambuilding activities, etc. The scholarship for returners covers the participation fee for your entire stay. You need to attend the forum at least 9 days. If you wish to come for a shorter period, you are entitled to an 80% discount on any EFA tickets as an alumni of Club Alpbach Senza Confini. Our team will coordinate accommodation and organise events within our club. Please note, that as a returner you have to cover the costs of your accomodation yourself. 3. Indicate your date of arrival and departure in your application. Everyone aged 18-30 who lives, studies or works in Carinthia, Slovenia or Northern Italy. You can also apply if you have grown up and received most of your education in one of these regions. NB- a C1 level of English is needed! If you do not fulfill these requirements, please visit the official EFA scholarships homepage, where you can find all the available scholarship programmes; www.alpbach.org/en. Please send your written application in ONE PDF format to scholarship@senza-confini.com. The application for the EFA 2019 is open from 10 February 2019 until 31 March 2019, 23:59 CET. We want to especially encourage applications from people with disabilities; from members of ethnic or religious minorities; from people with non-privileged socio-economic or non-academic background, regardless of sexual orientation. In case you have any questions please do not hesitate to contact us via e-mail.